The Blue-Bot TacTile Reader is a unique, hands-on programming device to control Blue-Bot with tiles representing each Blue-Bot command. Special price if purchased with the TacTile Reader! The Blue-Bot TacTile Reader is a unique, hands-on programming device to control Blue-Bot. Press the connect button to pair Blue-Bot with the TacTile Reader. Then place individual tiles, each representing a Blue-Bot command, sequentially on the TacTile Reader. Press the GO button and watch Blue-Bot move step-by-step through the program while the TacTile Reader lights up each command as Blue-Bot performs it. Want to change the program? Just switch the order of the tiles and press GO again. 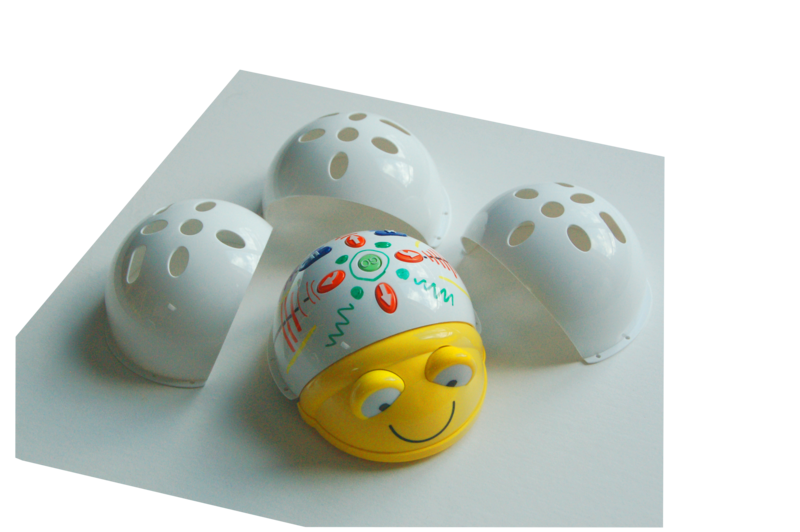 The TacTile Reader combines the excitement of Blue-Bot with a concrete, hands-on immersion in coding.